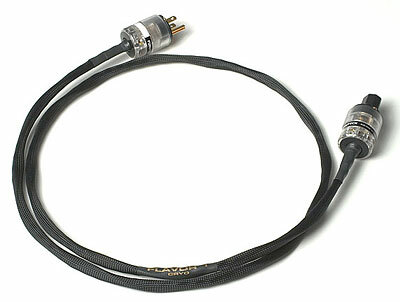 The VH Audio Flavor 1 power cable is designed for digital and video components that require a safety ground. To determine if your digital component requires a safety ground, simply unplug your current power cable from the back of your component and see if there are two or three male IEC prongs on the component. If there are 3 prongs, then this is the appropriate cable for you! * Two 12 AWG low strand count bare copper conductors for very low resistance. The safety ground wire is 12 AWG tinned copper. * FEP insulation of all conductors, including the ground wire AND outer protective jacket. * VH Audio's Counter-spiraled Ground™ geometry, which helps reduce the sonic effects of having a safety ground.